Our relationship to the environment is an issue of urgent concern, and one that can and should be addressed by anyone engaged in critical and intellectual pursuits, including theatre artists and scholars. 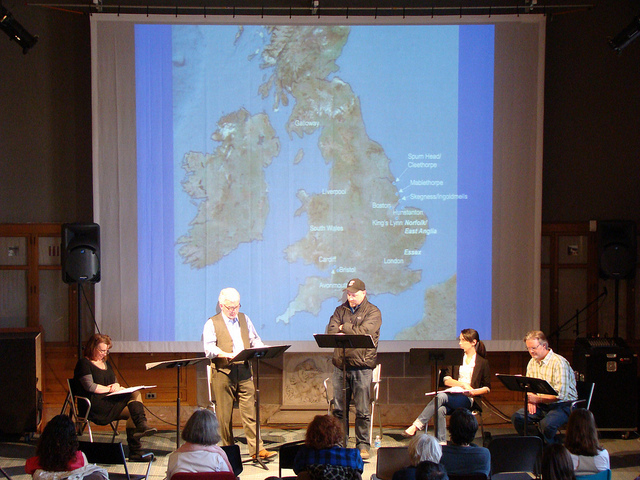 But despite the fact that ecological degradation will likely precipitate enormous social and political upheaval in the next century, and, with it, unpredictable and unimaginable effects on human communities and cultures—the kinds of concerns which have traditionally been prime subjects for the performing arts—theatre scholars and practitioners have been slow to engage environmental issues. Edited by May and Arons, Readings in Performance and Ecology (2012), extends into print these researchers’ efforts to codify a significant and growing ecological sensibility in our collective professional imagination. 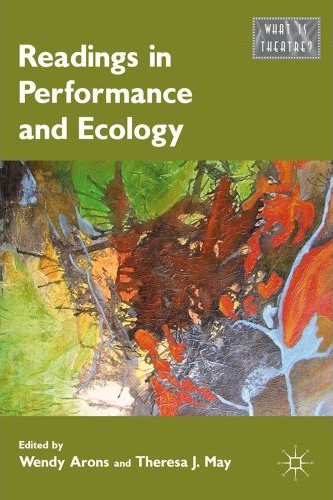 It brings together essays from both scholars and practitioners that critically engage some of the key theoretical and practical concerns about how performance has or might function as part of the trans-valuation of values necessary to forestall ecological collapse.